The 3rd of the 8 Essentials declares, “the real Godhead and real humanity of Jesus Christ.” That means that Jesus Christ is “fully God and fully human.” I know this is a paradox, yet I believe it is a necessary paradox, and this is how it came about. The experience of the Holy Spirit is both subjective and objective. I have seen some unusual things attributed to the Holy Spirit. 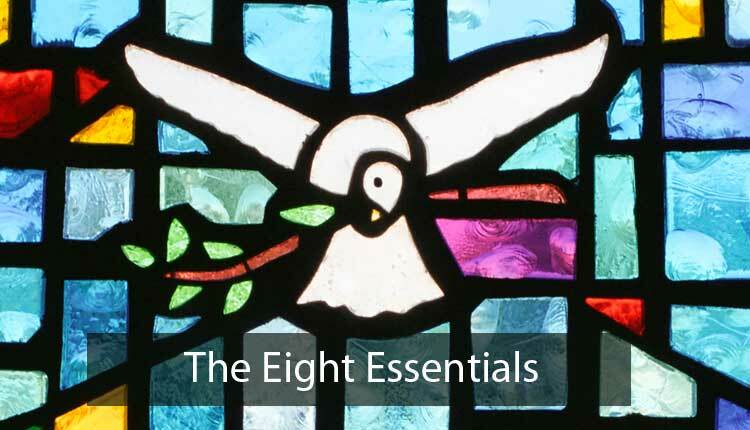 The 6th Essential is “the fruit of the Spirit” in the life of all believers. The term “fruit of the Spirit” is used only once in the Revised Standard Version of Scripture. For almost 15 centuries, the church possessed a visible unity in the form of the Catholic Church. In 1457 the Unitas Fratrum, or Moravian Church, became the first protestant church. Since that time 38,000 (FN1) other protestant churches have been formed. Today protestant churches are forming at the rate of 300 a year. These numbers do not include the many fiercely independent congregations that are scattered all over city and world.